Comments Off on HALLOWEEN DEALS 2013! Horror is coming this days with halloween celebration! We want to celebrate it with one great deal! Save 25 euros this days with the purchase of our FC999 Total Foley Collection Pack! Don’t miss this great opportunity of getting all our instruments and save more than 80€!! Happy Halloween to everyone doing great Foley!!! 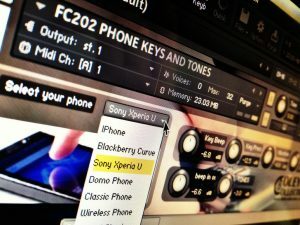 FC202 Phone Tones and Keys Released! Comments Off on FC202 Phone Tones and Keys Released! October is coming and we release a new instrument! FC202 PHONE TONES & KEYS is our last creation. Of course, like always, it makes FC999 Bigger and bigger! Its include 10 different phones in one only instrument. Check out the product page and watch our DEMO VIDEO. We have also released an Upgrade Option for FC100 Users, now you can buy the upgrade to FC999 with a great discount! New FC202 phone keys and tones; quick preview! Comments Off on New FC202 phone keys and tones; quick preview! We have recorded 10 diferents phones, from iphone to a very old siemens! We will include cordless phones, desktop phones and several mobiles phones. Each one with its own sounds! Keys press, key tones, vibrations, ringtones… All of them individualy recorded and customizables in the instrument mixer. It will be sold soon in our store!! FC201 MOUNTAIN BIKE RIDING LAUNCH OFFER! Comments Off on FC201 MOUNTAIN BIKE RIDING LAUNCH OFFER! We have finally launched our new instrument, FC201 Mountain Bike Riding! Its a new Bundle, its include the Instrument and a Audio Libray recorded at 96/24. You can now enjoy our offer and get it 10€ cheaper with this code “fc201launchoff”. We keep on working hard! 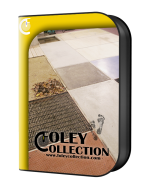 We have a new pack, called FC999 TOTAL FOLEYCOLLECTION PACK wich includes ALL our products in a whole pack with a special price. Our friends in labobinasonora have published a great interview with our team. Our projects, workflows, and future ideas are explained in the best sound postproduction blog for spanish operators. Thanks for your support guys!! Comments Off on Web updated! We have updated our web! now it works and seems better. We have a new service: Ask For Your Own Instrument! We have a lot of new ideas, but tell us yours too!! Also, Our News blog its now in a new page, and the checkout process its smoother! Enjoy a better experience in your foley shopping! Today our friends from Hispasonic have post about our products. a great place to see how our products works, and for talking about them. Hoy, en Hispasonic, nos dedican una entrada en su web. Un post donde podeis ver como funcionan nuestros productos, y donde poder discutir sobre ellos libremente. Como todos los post que nos dedican, tenemos para todos los hispasonicos un descuento de 25€ por la compra de nuestro FC100 pack con el código “hispasonicos“. Hasta el 31 de agosto. New FC201 Mountain Bike Riding Instrument coming soon! Comments Off on New FC201 Mountain Bike Riding Instrument coming soon! This month Foley Collection team are working in our new instrument: FC201 Mountain Bike Riding! check our promo video, very soon in our store! Last week Mike Thornton from Pro-tools-expert.com, the best blog for pro tools users in the web, post our instruments in their web, check it out now!